The Summer Certification is a popular way to get your 95 hour Certificate. It’s fast. It’s fun. It’s packed with information. To give you an idea of what you’ll get, check out these 6 Tips on teaching yoga to kids. One tip from each of the 6 weekends of Kids Yoga Teacher Training. If you are thinking of getting your Kids Yoga Teacher Certificate Here’s the link with all the details. We’d love to meet you there. 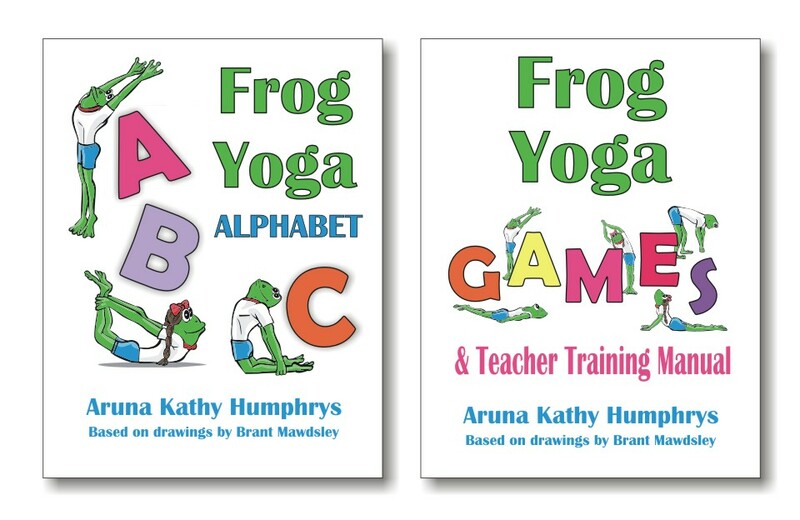 Yoga Alphabet and Storytelling: In the Yoga Literacy training the Yoga Alphabet turns any kid into a storyteller. Why? Because letters make up words and words make up stories. With our Yoga Alphabet we play all kinds of word games, but the favorite by far is Yoga Hangman (also known as Yoga Wheel of Fortune for some youth). The clues can be any words and phrases related to school curriculum, yoga themes, or pop culture. Choose what will interest your group. Now here’s the yoga part: before you reveal whether the letter is in the clue, everyone does the yoga pose. One game of Yoga Hangman can equal 10 or more yoga poses. Now that’s a good stretch for body and mind. Yoga to Include Children with Special Needs: One mother described how difficult it is at school for her daughter because she didn’t have any friends. At eleven years old it can be a lonely world for a child with special needs. In the Inclusive Yoga weekend Kids Yoga Training you get lots of ideas to help kids feel they belong in a yoga class.One effective way is by creating a Yoga Obstacle Course. It’s basically a huge visual schedule that eases anxiety for a lot of children on the autism spectrum. The great thing is, all kids love obstacle courses. You set up stations around the room with different yoga poses and fun ways to get from one spot to another. Try hopping like a frog, walking in downward dog, or taking a human train. Leave a spot at the end for kids to rest when they complete the cycle. Start by going through the whole Obstacle Course as a group. That eleven year old girl will feel better when she is sitting in the resting spot just like all the other kids. Anatomy and Physiology: Talking about bones is one thing, but bringing a skeleton into yoga class will take bones to the next level to capture kids attention. You can look for an anatomically correct skeleton, the kind a doctor or chiropractor uses. Or you can look for a big skeleton at Halloween time and you won’t have to be so careful transporting it to and from your classes. Yoga In the Classroom: This weekend includes so many tips on how to include Yoga in the classroom. One of my favorites is what course author, Janet Williams, of Childrens Yoga Books.com calls a Two-For-One. This is what you get when you teach two topics at the same time. Not only does it help a teacher get through their curriculum and fulfill their daily physical activity requirement, it helps children get much appreciated kinesthetic learning opportunities. Classroom Management is a big concern for many kids yoga teachers. Each teacher must discover how to get to the heart of classroom management and better connect with kids. For instance, if you present your lesson plan and a child protests, there are a number of ways to deal with it. First and foremost, the teacher strives to not take the protest personally. Just like when we meditate we try not to add energy to thoughts or distractions, we let them float by. It is equally important for a teacher to focus on the yoga class and refrain from arguments or power struggles. When a teacher does not react it is easier to figure out what to do. One of my favorite responses when a child says they don’t want to do something is to sincerely and energetically ask them, “What do you want to do?” Their answer gives me a big clue about how to manage the situation. Sometimes you find out they are sick, tired, or they have something else in mind. You can use the information to adjust your plan accordingly. Sometimes you can turn the protest into a positive, by involving the child in your lesson plan. Just like in life, we want to develop a yogic mind, a neutral mind, and become a role model for children. Branching Out to Family Yoga: finally here’s a very sweet meditation that I call the Stroke of Genius Meditation. I wrote about it here and it is a wonderful way to help parents and kids connect in a family yoga class. You’ll find this tip may help your mornings go a little smoother too. These 6 tips from our 6 kids yoga teacher training weekends are just a small part of a comprehensive course registered with Yoga Alliance. If you’ve thought of becoming a kids yoga teacher, full time, part time, in your classroom or living room, take a look at what you get with the Young Yoga Masters training. Register early to take save your place and take advantage of the early registration rates. Here is the link to the information. Great article. Thanks for these wonderful tips. Thanks for the comment Seana. I was that kid in gym class, so I agree with what you are saying. That’s great that you’ve found a yoga routine for so long. Many kids yoga teachers find it a little easier teaching kids in a Christian school because then they can refer to God as often as they like. It’s a good fit.